Glass ceiling: a term that describes a symbolic plateau beyond which women (and other minorities) rarely advance. Corporate leaders such as directors, presidents and CEOs all operate above this so-called ceiling. Is there gender parity in the IT industry? Are men and women treated the same? Is there a glass ceiling? The answers you get depend on whom you ask. In a recent study performed by Roper Starch Worldwide for Deloitte & Touche, 1,500 technology professionals were asked these questions. The women polled said overwhelmingly that they thought a glass ceiling existed (84%) and that wage bias was a reality (71%) in the industry while the men weren’t so sure about a glass ceiling (54%) or of wage-bias (45%). Corporate America…is taking affirmative steps towards attracting women and other minorities into the technology workforce. So what do the actual labor statistics show? 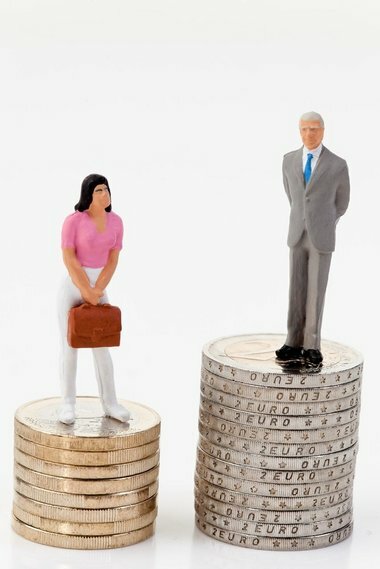 Is there a wage gap? What does the Department of Labor predict for the future? And what really is a glass ceiling anyway? Let’s examine? The women surveyed were right; females in the IT field do not make as much money as their male counterparts. Women in the Technology, Sales and Administration occupational group (of which IT is part) make about $.75 for every dollar males make, according to government statistics. Some point to this hard fact as clear evidence of gender discrimination. Others, however, including many economists, argue that this startling statistic is more a function of educational attainment than of gender. In other words, they point out that the strongest factor influencing compensation relative to others in a particular occupation is education; it is incidental that women commonly don’t pursue formal education in science and math related areas at the same frequency as men, and therefore not discriminatory. Is change on the horizon? By 2013, the income gap is expected to close marginally and women are predicted to make up 48% of the total American workforce, up 2% from today. By volume, the biggest increase in jobs for women during this time will be in two occupational groups known as Professional Specialty and Services. A This is in large partly due to the need for educators and health care workers, key components of these two groups. Information Technology positions, however, will increase at the greatest rate of all occupations for women and men. The bottom line is that America needs IT workers badly; the future of our economy depends on it. Corporate America realizes this and is taking affirmative steps towards attracting women and other minorities into the technology workforce. Some leaders see it as an equality issue and the right thing to do, while others just see it as a smart business move. Either way, the trend is positive. As more and more women enter the field, a greater number will eventually reach executive status and hopefully help clear the path for others to follow in their footsteps. The female responses to the Deloitte & Touche survey question on the IT glass ceiling are also backed up with government data. Department of Labor statistics clearly suggest the existence of such a barrier across employment industries (only 11% of all corporate executives are female), although the cause of this phenomenon has always been the focus of much debate. Although the IT field has not been isolated in a specific gender management study (it’s part of a larger occupational group including service administration), there’s no reason to believe that this field is much different from any other. The 10% figure obtained from the survey is probably quite accurate. Still, there is hope for the future. More than half the survey respondents indicated that at least a fair amount of females hold management or supervisory positions in their company, and the majority of women surveyed feel that the IT industry is more equitable today than most other fields. Taken together, these responses are cause for a brighter outlook. “Women in Technology Leadership” (Roper Report #CNO 503) – Prepared by Roper Starch Worldwide, Inc. for Deloitte & Touche. June 2001.